A moveable dancer pulley allows the wire prefeeding machine to easily respond to the typical intermittent starting and stopping actions associated with automatic wire processing machines. 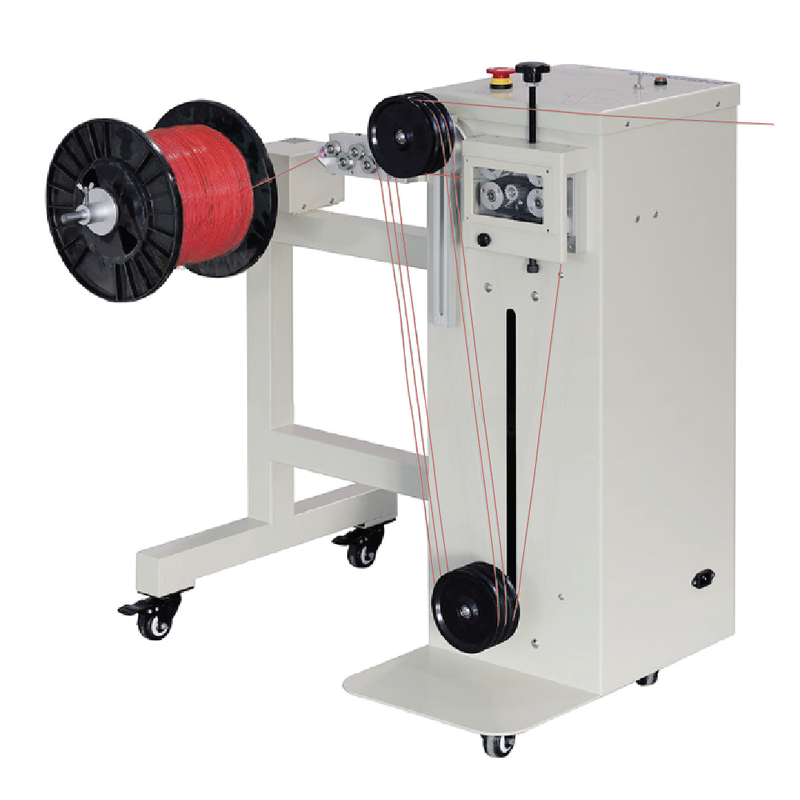 This wire prefeeding machine is specially designed for automatically feeding cables to coaxial cable stripping machine. It ensures that the wire is always in a state of uniform relaxation and improves the wire feeding precision of the automatic coaxial wire stripping machine. Built-in 2 sets of motors and multiple sets of sensors, the middle section is equipped with a wire straightener, which can automatically straighten the wire at the same time as the wire is fed.